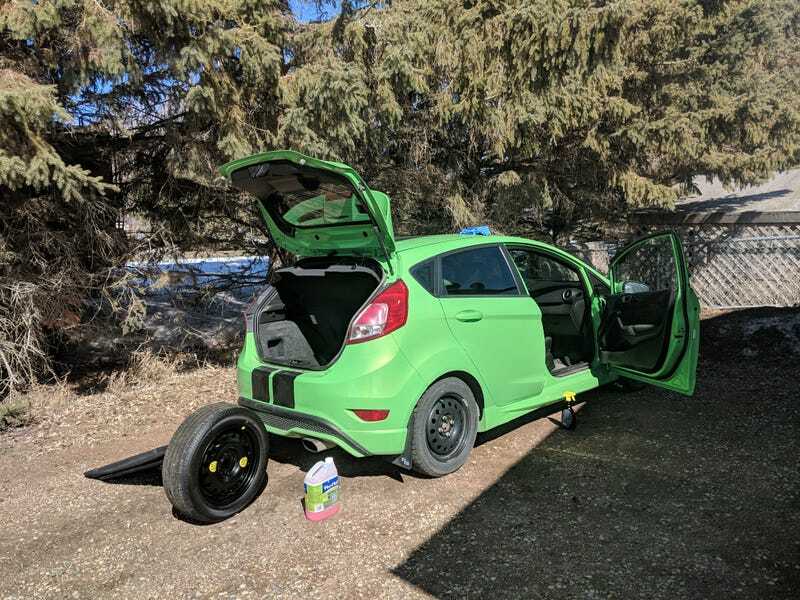 Fun fact: the spare is full-sized (full sized meaning it’s a stock size for the Fiesta. It doesn’t match the stock size on an ST, which is 205/40R17, hence the warning stickers). The car also comes with a fluid funnel, located in the incredibly inconvenient spot of under the spare tire.